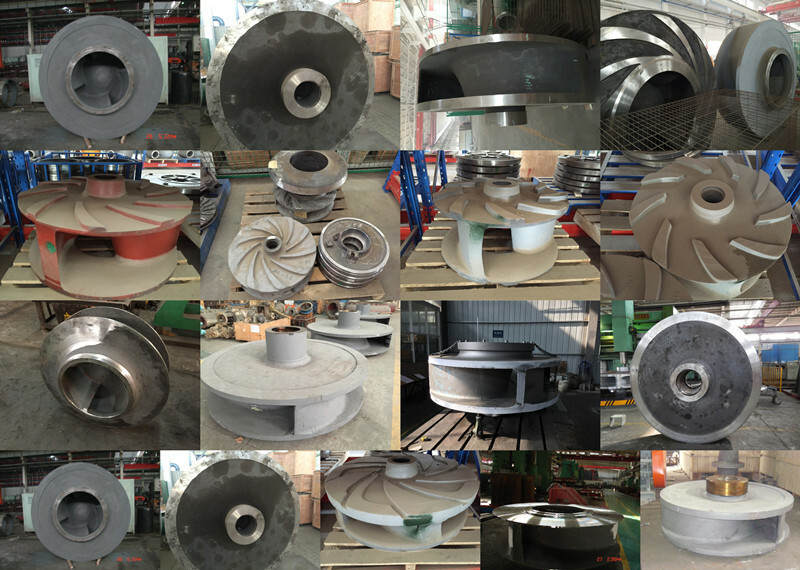 Product categories of Impeller, we are specialized manufacturers from China, Boat Impeller, Centrifugal Impeller suppliers/factory, wholesale high-quality products of Marine Impeller R & D and manufacturing, we have the perfect after-sales service and technical support. Look forward to your cooperation! Working round. The only component of the air flow in a centrifugal compressor. The most important parts on the rotor. Generally by the wheel, wheel cover and blade and other parts of the composition. Under the action of the impeller blades, the rotating speed of the leaf rotation, the gas is affected by the centrifugal force of the rotation, as well as in the impeller of the diffuser flow, so that it can be improved through the pressure of the impeller. (1) can be given a larger energy; (2) gas flows through the impeller loss should be small, namely the gas flows through the impeller efficiency to be high; (3) gas outflow impeller parameters when appropriate, the gas flowing behind the fixing element flow loss is smaller; (4) type of impeller can make or overall performance curves of the stable operating region and the efficiency range is wide. Normally divided into closed, semi open and open type impeller. The impeller is composed of a wheel hub and a blade in a wind turbine. The wind passes through the impeller, drives the impeller to rotate, which drives the generator to rotate, and the wind energy is converted into electric energy. At this time, the rotating impeller with large enough on the windward side, to extract enough energy from the wind; at the same time, when the wind speed is too large, can automatically adjust the blade windward angle to avoid due to the stress and mechanical damage. Cast iron, bronze, stainless steel, manganese bronze, Monel alloy, INCONEL, and non metal materials. PPS plastic, phenolic resin, etc..